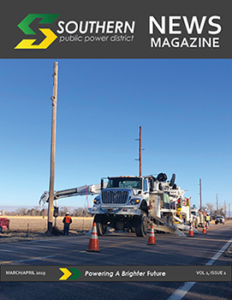 Southern Public Power District publishes a quarterly magazine for our customers in an effort to provide useful information about news in the district. This publication is distributed by direct mail on a quarterly basis, and can also be accessed on this page. Click the link to the right to view the most recent edition, or scan past issues of this magazine or previous newsletters to view past stories from SPPD.